Are interchangeable diffusers available for my lightbank? The Super Pro X lightbanks can be used with optional front screens in 1/2 Grid Diffusion and 1/4 Grid Diffusion. By default, inner baffles are only available in Full Diffusion (-1.4 stops), though custom options may be available by contacting us at info@chimeralighting.com. 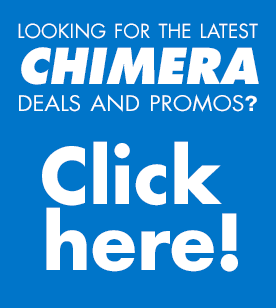 https://chimeralighting.com/wp-content/uploads/2017/08/chimera-lighting-logo-copy.png 0 0 Chimera Lighting https://chimeralighting.com/wp-content/uploads/2017/08/chimera-lighting-logo-copy.png Chimera Lighting2017-02-20 14:53:112017-07-03 13:37:49Are interchangeable diffusers available for my lightbank? Are the screens of my lightbank supposed to yellow? Can I extend the reach of the light booms?